Concordia Seminary, St. Louis, will host the fourth annual PsalmFest on Sunday, April 10, at 3:00 p.m. in the Chapel of St. Timothy and St. Titus. The festival will explore some of the themes involved in Psalm 46 through spoken and sung word. The public is invited to attend. A variety of settings of Psalm 46 will be sung. Additionally, the congregation will sing hymns related to the themes of Psalm 46. Meditations and reflections on the psalm will be presented by Dr. Timothy Saleska, associate professor of exegetical theology. Dr. Kent Burreson, dean of the chapel and assistant professor of systematic theology, will lead the congregation in the prayers. Guest organist for the service is Rev. Dr. Arthur Eichhorn, pastor of Saint Salvator Lutheran Church, Venedy, Ill. Participating in the festival will be the Concordia Seminary Chorus, Pro Musica Sacra, Laudamus, the Brass Ensemble, and the Bell Ensemble. 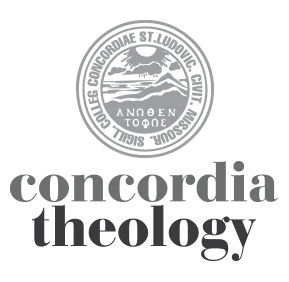 For more information, contact Concordia Seminary, 801 Seminary Place, St. Louis, MO 63105; 314-505-7379; communications@csl.edu.